The Recording Industry Association of America (RIAA) is finally getting with the times and has incorporated streaming into their methodology for their certification process for their Gold & Platinum Program. Their album award formula is 1,500 video or song streams = 10 track sales = 1 album sale while their digital single award formula is 150 streams = 1 download. This is new methodology has raised a few albums up with Big Sean’s “Dark Sky Paradise” going platinum, Kendrick Lamar’s “To Pimp A Butterfly” going platinum, The Weeknd’s “Beauty Behind the Madness” going 2x multi-platinum and Wale’s “Ambition” going gold. Even Michael Jackson’s “Thriller” gets a new certification, 32x Multi-Platinum, 33 years after its debut. The new certifications equals great news for everyone with the RIAA acknowledging the changing landscape of music purchase. This also allows for artists who rely heavily on streaming and downloads to finally get their well-deserved recognition. Energy is felt from the first second with Mag B beginning the track spitting off Jersey-accented rhymes for a speedy but comprehensible verse. 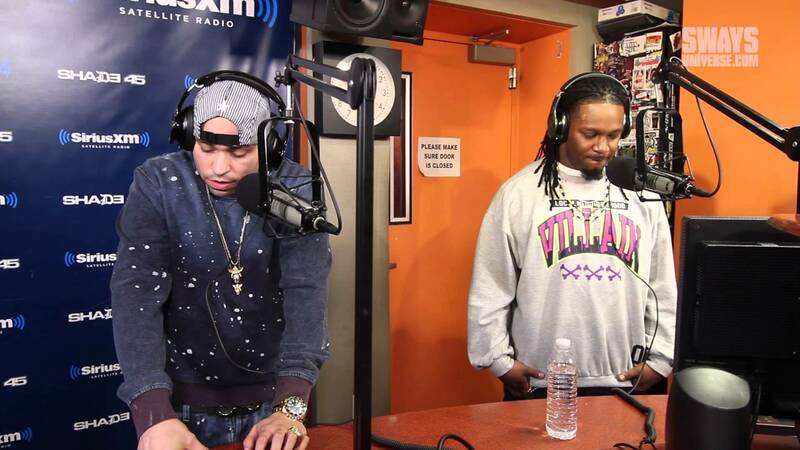 Though impressive, it brought back flashbacks of his freestyle on Sway in the Morning. After another listen to the freestyle, it was confirmed that he mixed the first part of his freestyle, the freestyle prior to the change in beat, with his verse. The identical lyrics would not be bothersome to new listeners but would be noticeable to avid listeners.